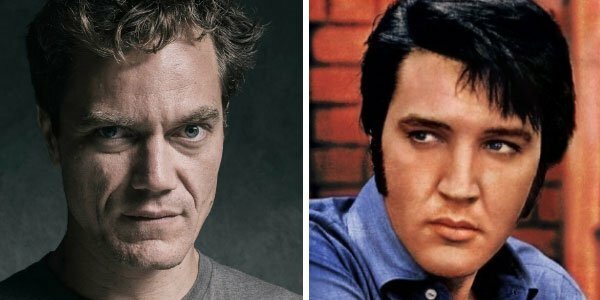 Coming Soon reports Boardwalk Empire's Michael Shannon will play Presley to House of Cards star Kevin Spacey's Nixon in the docudrama Elvis & Nixon. The screenplay, penned by Hanala Sagal, Joey Sagal and Princess Bride star Cary Elwes, reportedly captures these two men--one a figure of pop culture, the other one of the most influential politicians of his time--at a moment when both were at the peak of their power, but fully aware of how short these heydays can be. Regarding the casting of Shannon and Spacey, producer Cassian Elwes said in an official statement, "After the enormous success of The Butler I have a deep affection for films set in the White House as does the public. To work with Shannon and Spacey on this movie at the height of their careers is a dream come true." It's a little unclear at this moment how this one event, where Elvis Presley went to President Nixon's White House will make for an entire feature-length film. But there are some pretty spectacular elements to build on, chief among them two larger-than-life characters who will now be portrayed by two of the most buzzed about American actors living. It was the morning of December 21st 1970, when the King showed up to shake hands with the President. And it wasn't a simple meet and greet. Presley demanded to be sworn in as an undercover Federal Agent at large. Liza Johnson, who has previously helmed such tender yet gripping dramas as Return and Hateship Loveship, is set to direct. Cassian Elwes (Lee Daniels' The Butler) will produce alongside Holly Wiersma (Dallas Buyers Club). Byron Wetzel, Tim Smith and Paul Brett will serves as executive producers. There's no word yet on when Elvis & Nixon will roll into production. However, Prescience has lined up to finance the project while BLOOM begins seeking foreign distributors at the American Film Market. While Elvis & Nixon's press release would have you believe this is the first time this story has ever been explored, that's inaccurate. 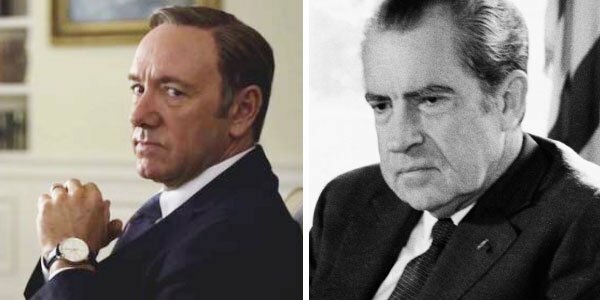 There was a little known TV movie starring Rick Peters and Bob Gunton called Elvis Meets Nixon, which was shot in a mockumentary style. But more recently, the Comedy Central series Drunk History re-enacted the memorable scene with Jack Black as Elvis and Bob Odenkirk as Nixon. To watch that bit of greatness, head over to Page Two!